When October hits in my calendar, I have to ask, seriously? I got too distracted with so many things and racing against time. This post is five days late, but a big announcement must be made! The winner of this loot is..
For the October commenter of the month prize, everything would be a surprise! 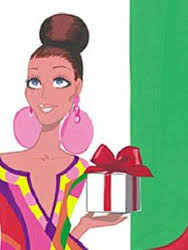 I have to be honest that I got totally busy and missed on collating the gifts and items. The loot would be awesome, I promise. Same rules apply.